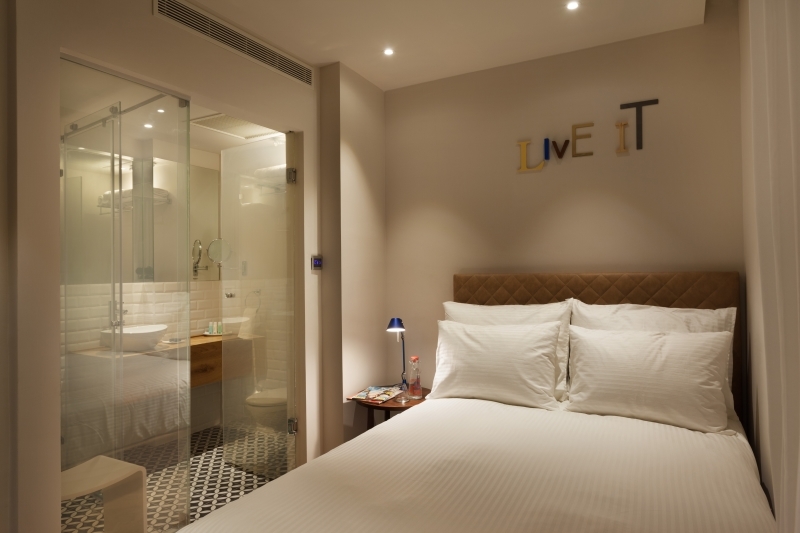 A stay at the Shenkin Hotel is a fine way to experience Tel Aviv life first-hand, in a comfortable and elegant place, where you can hand over responsibility for your happiness to people you can really trust. 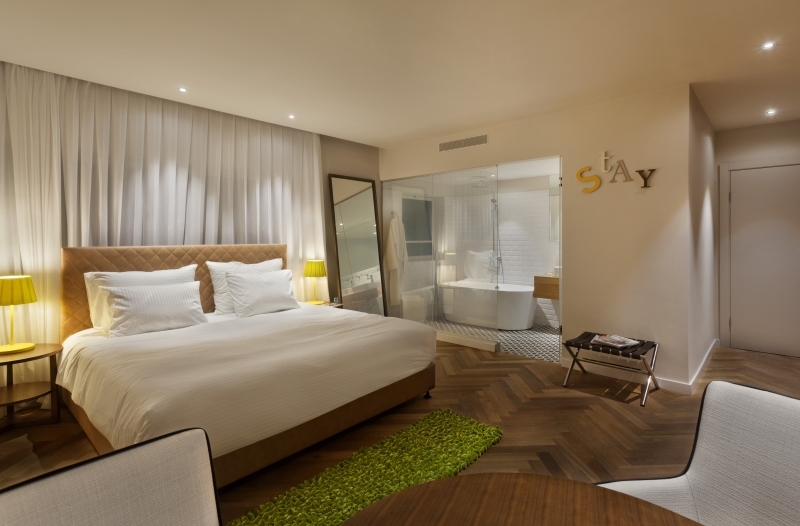 ‘Locals know best’ is the motto and guiding principle of this chic new boutique hotel, situated in the heart of modern-day Tel Aviv. The owners and staff, all local Telavivians, make a point of getting to know each of the guests, asking their preference in food, leisure and music, and help them build up a personalized itinerary for the length of their stay in the city. 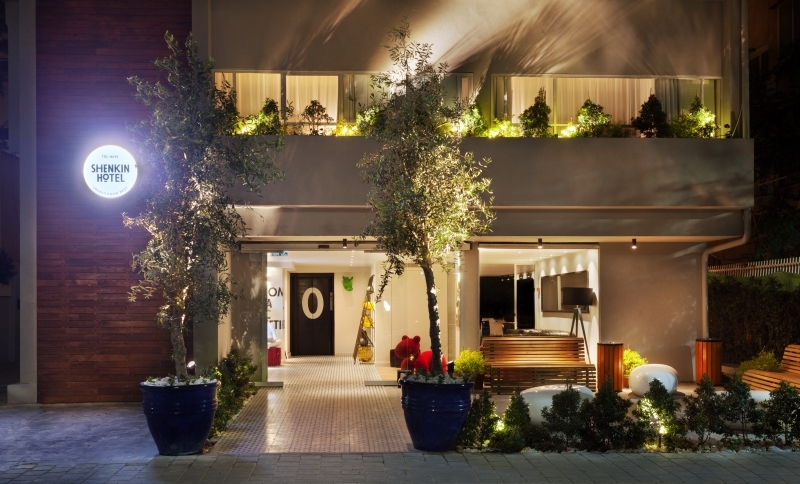 This attention to personal relationships, as well as top-quality facilities and service, has made the Shenkin a leader in the new style of boutique luxury hotels in Israel. 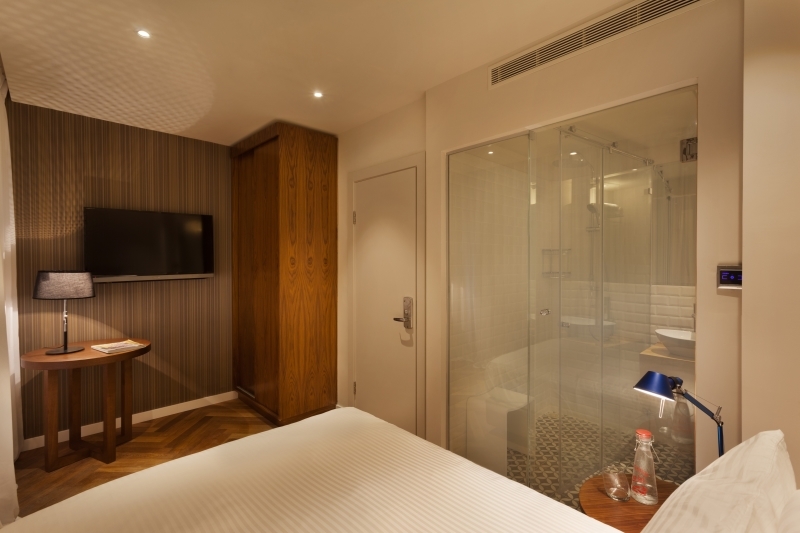 The rooms are chic and practical, with meticulous attention to detail. The wood floors, modern art on the white walls, sunlight and comfortable beds are matched by the quality of the amenities on offer: Egyptian cotton sheets, plush Turkish towels, Dead Sea toiletries and broadband wifi connection. 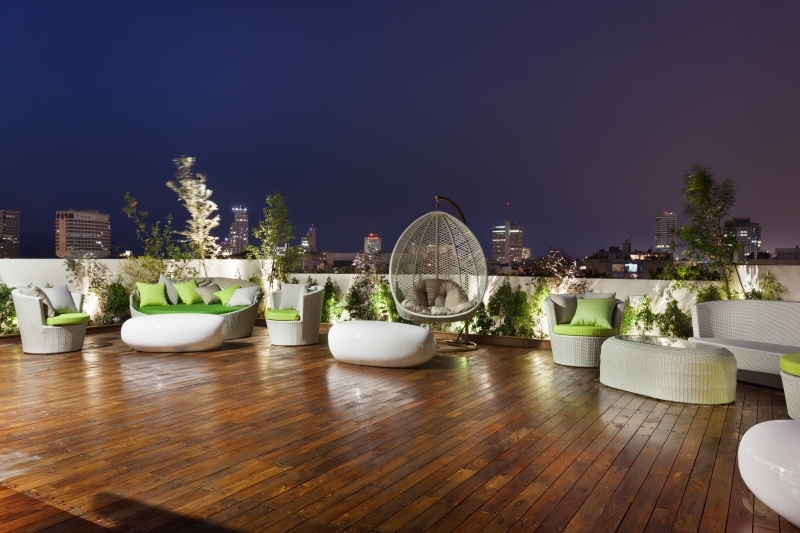 One of the hotel’s unique features is a large and comfortable rooftop, sunny in the day and breezy in the evenings. Guests are welcomed to make use of the roof, sunbathe in the day and relax in the evening with a good drink and good friends. Other guests make use of the Shenkin Hotel’s trendy location and reputation to use it as a business meeting center. The meeting room, with large screens and free international phone calls, is perfect for this kind of business vacation. Furthering their connection and commitment to the local community, Israeli breakfast is served daily not in the hotel itself, but in a nearby cafe. Similarly, the gym is located off-site. The spa, however, is fully in-house, and provides a whole range of pampering treatments on par with the best-known boutique hotels in Tel Aviv. Professional masseuses give Swedish and deep tissue massages, or go over to organic and shiatsu treatments, and even provide pregnancy massages. Shenkin Street is in the heart of Tel Aviv, full of fashionable shops, restaurants and cafes. The Carmel market is a short walk away, and the beach is also in walking distance, or a short drive away.